« Is now the moment to invest in the stock market? 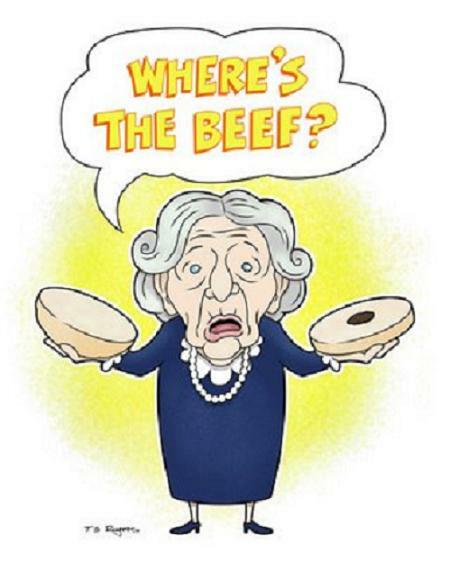 Thought I’d show my age by recalling two iconic figures from the past; Clara Peller’s “Where’s the beef?” Wendy’s ads and Alfred E Neuman’s catch phrase from the cold war days “What, Me Worry?” But they both sum up our current political standoff better and more succinctly than I am able to. But I will spend some time explaining. First, I apologize for being late to address our current state of affairs. From the calls and emails we’ve received I know that many of you are concerned, as you should be, by current events. However, I am not a believer in saying or writing something just for the sake of talking or writing. It’s taken a bit of time to digest the insanity and determine the best approach. Of course hindsight will be the determinant of the “best” approach, but I think we are taking a rational and prudent approach. The background. As we are all aware Congressional Republicans and the President are locked into a game of chicken. The impending collision officially comes at after October 22 – when the U.S. government must borrow more money than is currently appropriated to pay our bills. With Congress refusing to up the limit it raises the specter of the government: 1. Shutting down various departments en masse, and 2. Not being able to pay interest on our debt – thus officially defaulting. Queue here Mr. Neuman, “What…me worry?” Seriously, we will not default on paying the interest on government debt. Period. The consequences are severe. The Chinese, American banks, credit unions, entire European Countries and their banks technically could go bankrupt if the U. S. defaults. Now I could go into details here as to how that works, but that would be a long post and detailed post. 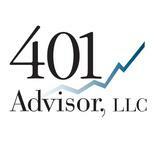 Please drop me an email, (bill@401advisor.com) or give me a call (937.434.1790) if you want to discuss details. Seriously. I really do enjoy those conversations! Now to the real reason we won’t breach the debt limit…Ms. Peller. Representing senior citizens throughout the country, asking “Where’s the beef?” (aka social security check) come November 1. Remember amongst the insanity, our government leaders are elected. And if Ms. Peller and her legions of AARP following social security recipients miss one check, you can be assured that those responsible will never see government office again post their next election. Our Congressmen are well aware of this. The Chinese we can deal with, but don’t mess with a Ms. Peller’s social security check! Despite my confidence that we see a pre-November 1 solution, I will never risk client assets based on my personal outlook. I will always try and have a Plan B in place. In this case we have raised our cash positions to about 20% of our portfolios. While I don’t see permanent portfolio damage due to the wrangling, we could certainly see a temporary drop. Cash is available to limit volatility and to be in position for an opportunity buy, if I see such an opportunity. The Plan B, is that the 20% in cash can be deployed quickly to buy a “short” ETF – simply a stock that goes up when the market goes down. A 20% position won’t eliminate a loss, but it will soften the blow. That would be a quick adjustment. We will just have to see what happens to determine where we go to from there. As you should be aware, if things get that dicey, I am perfectly willing to move all portfolios to 100% cash if we have a storm that we need to ride out. My bigger concern, which I will address next week, is the short term trend in corporate earnings – which hasn’t been good. As we get into the heart of reporting for third quarter earnings we absolutely have to start seeing some optimism from businesses regarding the outlook for future growth and profits. The stock market simply cannot continue its upward trend without earnings growth. That is a very real and more certain trend that will have longer term repercussions for the market.